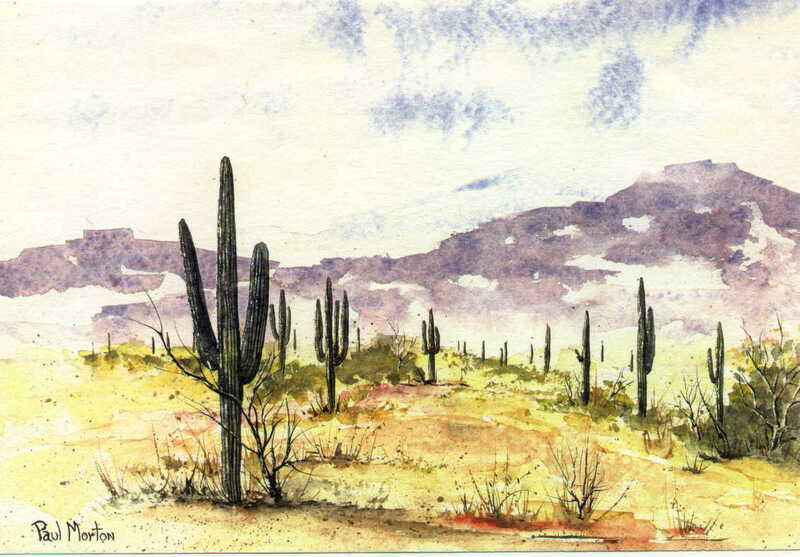 A talented member of the ZGWS, Paul views the Arizona scenery as an artist's paradise. He loves the western landscape and has captured its many moods in his paintings and other forms of art. His work has found its way into homes and businesses across the United States and in foreign countries. Listed in "Who�fs Who in Arizona", Paul has received numberous awards for his artistic work that he keeps on display at his home, appreciated by family and friends. Although Paul is best known for his watercolor paintings of the Arizona desert, he has recently become known for original ceramic creations, several of which have been published in international ceramic magazines.